« Congratulations on your victory! A Drohobych delegation of thirteen people, which includes scientists from the Ivan Franko State Pedagogical University (Professor Svitlana Shchudlo, associate professors Valentyna Stets, Oleksandr Semerachak, Roman Khavula, Iryna Mirchuk, senior lecturer Ihor Zubrytsky and lecturer Lilia Vovk) and a group of practitioners in the field of social work with youth (teachers of schools in Drohobych and representatives of the charity fund “Caritas”) took part in the scientific and methodological workshop held on November 20-25, 2017 at the Kazimierz Wielki University in Bydgoszcz. 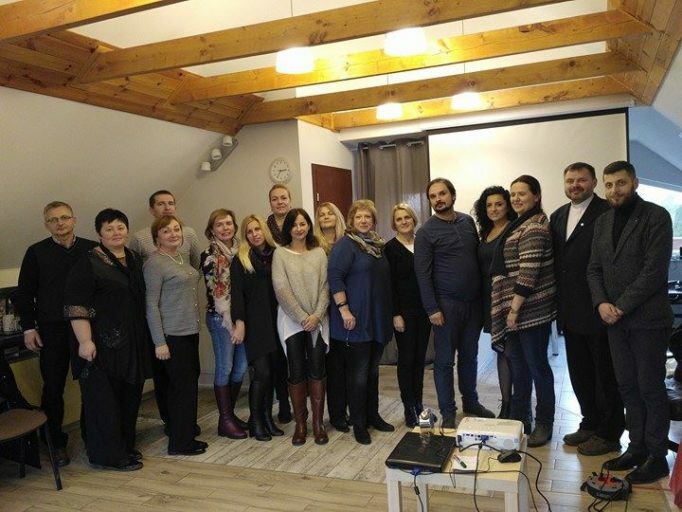 The aim of the project is to get acquainted with innovative European practices in the field of social prevention of addictions among youth and to improve the model of training specialists in the speciality “Social work (social pedagogy)” and “Psychology (practical psychology)” taking into account the Polish experience, as well as the development and introduction into the training curriculum of an educational module on social prevention of addictions and risky behavior of youth. 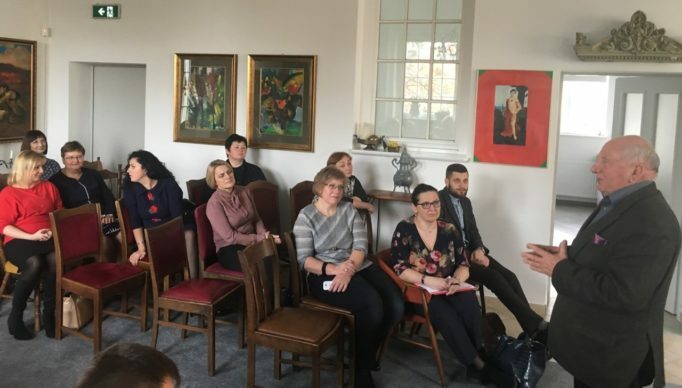 It should be noted that Poland has succeeded in developing and successfully implementing a unique and progressive system of training specialists in the field of social prevention (Bydgoszcz is one of the most well-known and most powerful research centers), as well as an effective network of organizations that carry out social prevention, sociotherapy, psychotherapy . The program of stay in Bydgoszcz was very hectic. 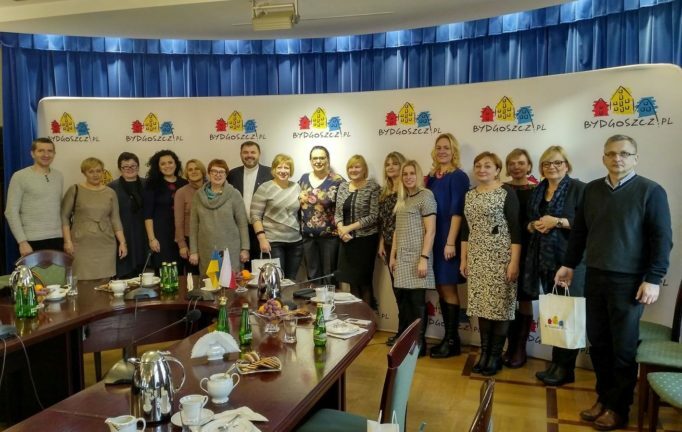 At the opening ceremony of the workshop, the Ukrainian delegation was greeted by Professor Marek Macko; by the Vice-Rector, the Dean of the Department of Psychology and Pedagogy, Professor Ewa Zwolinska; Head of the Department of Guardian Pedagogy and Social Prevention Professor Maria Deptula. Also, there was an extremely open and warm meeting with representatives of the city authorities, in particular, the city vice-mayor for education Iwona Waszkiewicz, the director of the city department of education and sports Elzbieta Wewiora. At the meeting, our compatriots learned about the city’s unique educational strategy, the results of the participation of schools in national, regional and local educational programs. In addition to a detailed presentation by Polish and Ukrainian representatives and a discussion on the existing models of social prevention of risky behavior among young people in two countries, outlining the content of further joint educational and didactic co-operation, the members of the delegation visited and got acquainted with the work of the most successful centers, namely: the regional center for treatment of dependence and co-dependence (Torun), the youth department for the treatment of addictions (Torun), the private center for the treatment of addictions (Torun), centers for helping young people and families with addiction problems in Bydgoszcz, health center, etc.